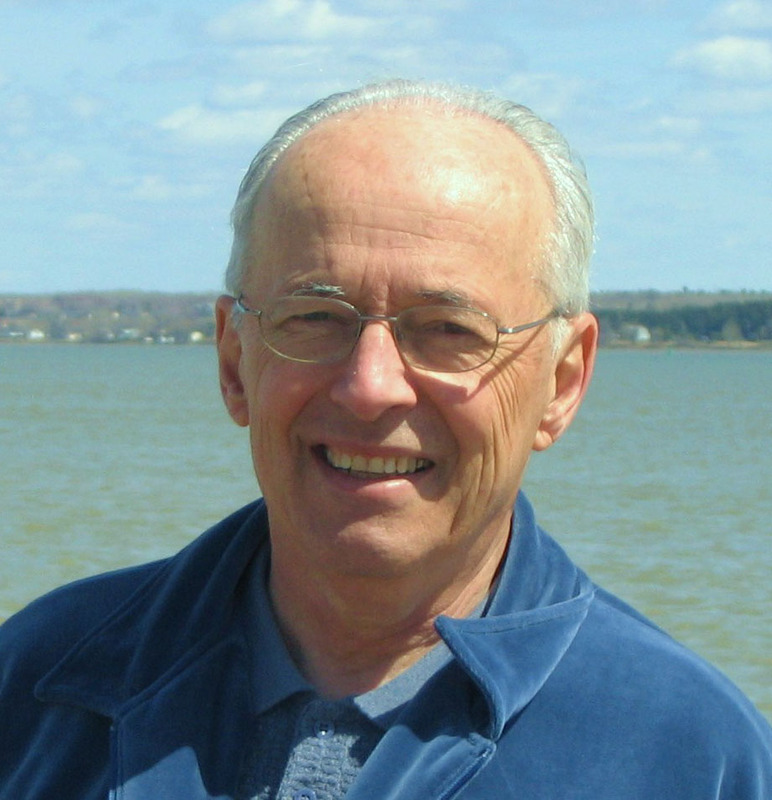 Featured Guest: Ted Schmidt, teacher, author of several books, including Never Neutral: A Teaching Life (2012), journalist, political activist, liberation theology activist. 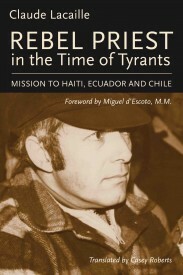 Ted Schmidt discusses Claude Lacaille’s recently released book, Rebel Priest in the Time of Tyrants, Mission to Haiti, Ecuador and Chile and asserts that Lacaille brings back into focus the importance of seeing life from the role of the oppressed people and that deserting Vatican II was a betrayal of a moral mission to serve the masses, especially the oppressed. Schmidt praises Pope Francis, who declared El Salvadoran Archbishop Romero a martyr and who is turning back to the Vactican II mandates based on discussion, inclusion, justice for humanity. What were the major flaws of Pope John Paul II and Pope Ratzinger? Listen to the show for Schmidt’s lucid analysis. 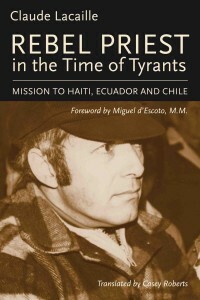 In Rebel Priest in the Time of Tyrants: Mission to Haiti, Ecuador and Chile (Baraka Books, June), Claude Lacaille recounts his years as a missionary priest in the Caribbean and Latin America during a period when dictators like Papa Doc Duvalier and Augusto Pinochet ruthlessly exploited the powerless and impoverished. Lacaille and other priests believed the Catholic Church’s central concern should be for the poor, arguing that charity was not enough–the structural and political causes of poverty must be addressed. Their movement was called liberation theology. A front page story May 24 in the New York Times points to the timeliness of Lacaille’s memoir. He answered PW‘s questions from his home in Trois-Rivières in Canada. PW: Some critics say that Pope Francis’s seeming embrace of liberation theology is merely an attempt to remake the image of the Church as it struggles with increasing cultural irrelevance. Do you believe Francis is sincere? Claude Lacaille: In the late 1960s, when more than 400 priests joined the Third World Priest Movement in Argentina, the hierarchy condemned the movement, declaring it was not in line with the social teachings of the Church. The Argentinean pope never embraced liberation theology as a theory; like many clergymen at that time, he was concerned about the security of his fellow clergy, but also about the radicalism of priests who advocated the end of capitalism and favored socialism. Then, as archbishop of Buenos Aires, Pope Francis lived in a suburb and got closer to the poor during a period of crisis in Argentina’s economy. Like Bishop Romero in San Salvador, he was transformed and converted as he witnessed the oppression of the people. Now Francis has taken prophetic actions like his visit to Lampedusa and his decision to recognize the State of Palestine. He invited liberation theologian Gustavo Gutierrez to the Vatican and beatified the martyred bishop of San Salvador, Oscar Romero. I believe in his sincerity and will to change the Church, but after John Paul and Benedict, who named conservative bishops to dismantle the Church of the poor during a 35-year period, shifting back to this priority is not going to be easy. PW: What other changes are needed to transform the Church? Claude Lacaille: The Curia must be reformed and decisions decentralized, giving more responsibility back to Bishop Conferences. This pope has simplified his contact with the people and does not play the pontifical imperator; he is simple and accessible. The Church should not make the Vatican its center, and reorganize on more efficient and simple premises. The riches accumulated during the Renaissance are a world heritage, but for the poor these riches are a scandal and treason to the gospel of Jesus. Bishops should be elected by the local churches, not by the Vatican State ambassadors, and their choices submitted to the pope for the sake of unity. The pope’s ministry is defined in Canon Law as an absolute theocratic monarchy, and this is far away from the ministry of unity granted to Peter. PW: In your book you describe the complicity of Catholic clerics with brutal regimes in Haiti and in Latin America in the 1960s, ‘70s, and ‘80s. Has that corruption in the Church been completely rooted out? What remains to be done? Claude Lacaille: Churches are human institutions, and human beings are capable of the best and the worst. In Haiti during the dictatorship of François Duvalier, some bishops would eat from the dictator’s hand and receive privileges for their loyalty and submission. There are still some problems of abuses and corruption, but Pope Francis has denounced the sin of careerist clergy, of those who are on a quest for ecclesiastical power, reminding his fellow bishops, “Be shepherds who have the smell of the sheep.” He wants them to live close to the poor and take care of them. This is a mission, not a career. PW: Do you foresee significant change under Francis in the Church’s stances on issues such as married priests, contraception, divorce, and homosexuality? How far can he move the needle? Not everything is written in the Bible. Together, believers must discern what the Spirit of Jesus asks of us and take new paths. We should stop imposing our rules as if they were divine and let the people follow their own conscience. “If you are led by the Spirit, you are not under the law” (Galatians 5:18). 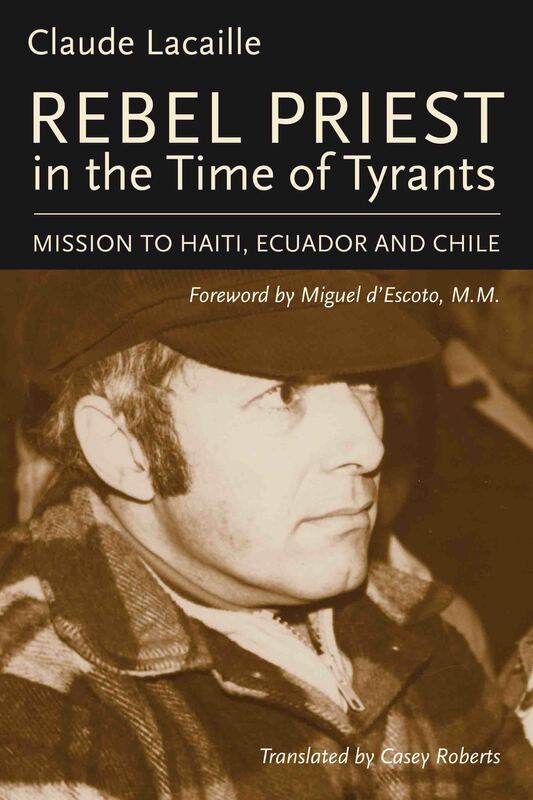 Baraka Books will launch Rebel Priest in the Time of Tyrants, Mission to Haiti, Ecuador and Chile by Claude Lacaille on Wednesday, June 10, at 5:30 pm at the Congrégation Notre-Dame, 2300, rue Sherbrooke Ouest, Room 103, Montreal. These “inspired and inspiring pages,” as Miguel d’Escoto Brockman describes them in his Foreword, are Claude Lacaille’s first-hand account of the oppression and poverty in Haiti, Ecuador, and Chile where dictators and predatory imperialists ruled. A 37-minute documentary entitled Petites et grandes histoires d’un homme libre (The Long and Short of the Life of a Free Man) will be shown with English subtitles. “This missionary account grows out of the long tradition established by Simon Bolivar and his appeal for “la Patria Grande,” for a Latin America that is united, in solidarity, and master of its own destiny.” Yves Carrier, Relations, January 2015. Now available at 25% pre-order discount here.